I took a photography class last Saturday from my super talented friend Brittany of Brittany Lauren Photography. Brittany specializes in newborns, high school seniors, couples and families. We used to work together before she decided to pursue her passion for photography and start her own business in NYC... so proud of her! Go check out her website! The 5 hour class, Lights. Camera. Manual. was offered in Rock Hill, where Brittany grew up, to raise money for her friend Melissa's adoption. Melissa and her husband are adopting from Uganda. Melissa, a graphic designer, was there the day of the class and had made a little personalized gift for everyone, personalized our water bottles, and made the yummy food. Yall know how I just swoon over anything Clemson! The class was small - 9 ladies - which I absolutely loved. Nothing like lots of one on one attention from the instructor! 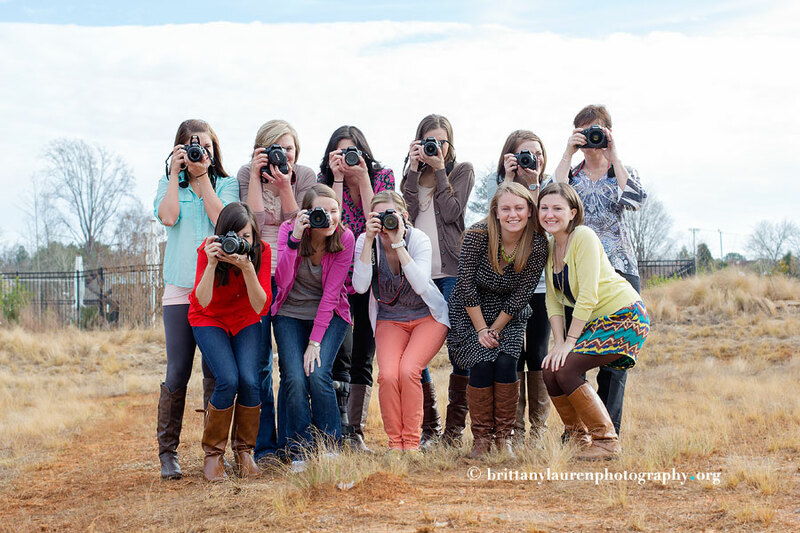 The main purpose of the class was to teach everyone to shoot in Manual mode. Of course to do that you need to understand the basics so you know what to adjust when and how much. I had a pretty good understanding of the basics and mostly have been shooting in Aperture mode but didn't know how to shoot in manual mode. Everyone took a before picture using their current photography knowledge and then an after picture at the end of the class. 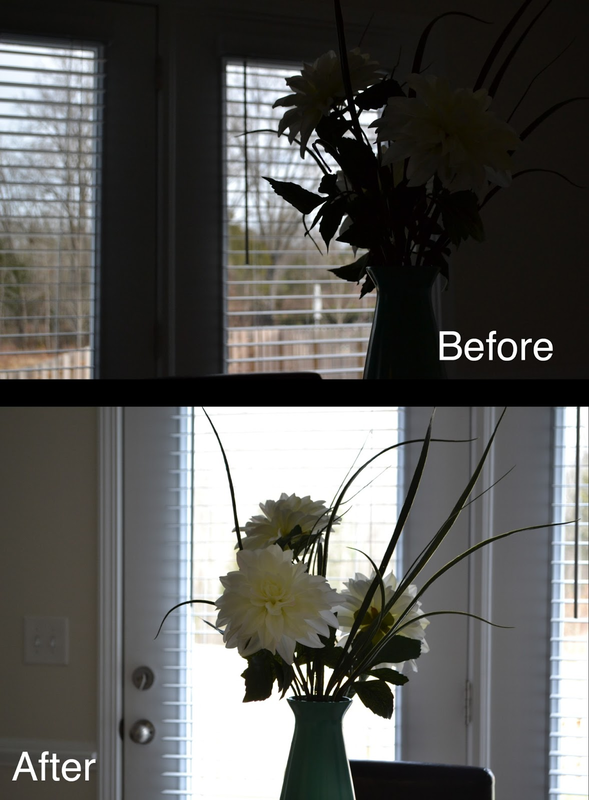 My before was in aperture priority and my after was in manual mode. I love seeing the difference! Another before and after by utilizing light metering to expose for the flower. A couple more shots from the day are below. 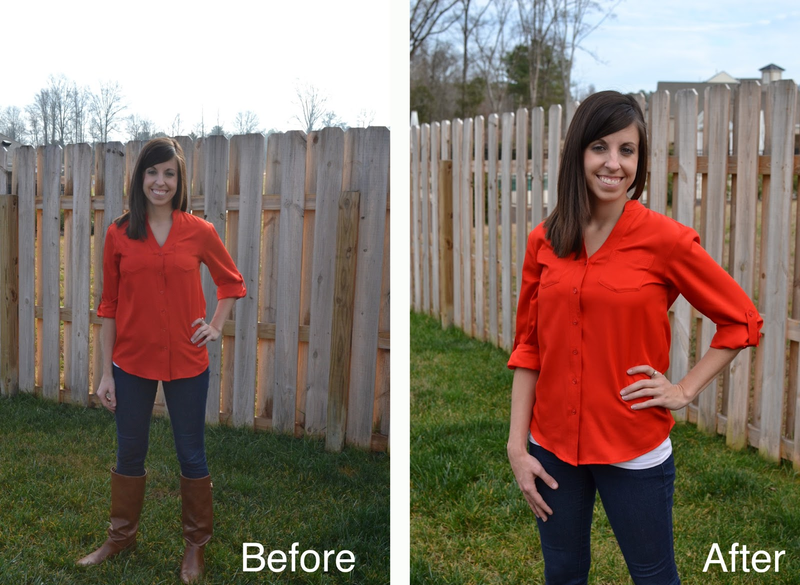 We did most of the hands on portion outside because let's face it outdoor pictures usually look better than indoors... gotta love natural light! Brittany answered our questions throughout the whole day easily in such a small group. All the fun attendees and their cameras with Brittany and Melissa. Everyone was so friendly and helped each other out. Photo courtesy of Brittany. I love this post! Thank you so much for attending. You are an AWESOME student. Class wouldn't have been the same without you :) I can't wait for our next class. Emily your pictures look great. Thank you so much for coming. I loved the post too! I linked it to mine so people could see your awesome before and after pictures! Great manual, thanks for sharing. Did you try to use any other photo editing software? I want recommend you to read this guide http://besthdrprogram.com/ there are a lot of useful information about the most useful photo editing plugins.